Painter, collagist, sound poet, performance artist, typographer and sculptor, Kurt Schwitters moved from one form to another with ease. Review of the Tate Britain exhibition by Robin Richmond. There are three elements in an artist’s work that make the public distinctly uncomfortable. The first is shock. Madonnas with dirty feet; brazen odalisques; blue trees; square heads; urinals, bricks and disembowelled cows spring to mind here. The second is volatility of subject matter. Artists are supposed to plough a furrow of consistency. The work should be consistent and classifiable, with clearly defined taxonomies, immediately recognisable and emblematic. The third is commercial. The reality of needing to earn a living and its inherent paradoxes is a big worry to the public. Posthumous record-breaking prices for an artist who never sold anything in a lifetime feel morally wrong and unfair. The corollary – living artists whose work commands insane prices – is equally disturbing. The distance between making art and selling it is meant to be a negligible one. Artists are not supposed to think about the mortgage or the market place. 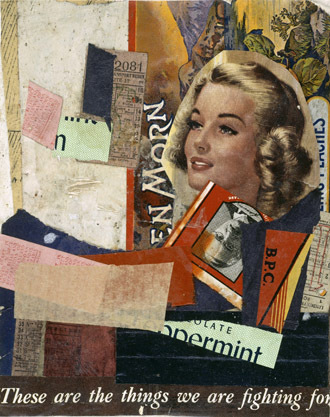 The work of Kurt Schwitters (born Hanover 1887 – died Kendal 1948) ticks all three boxes. 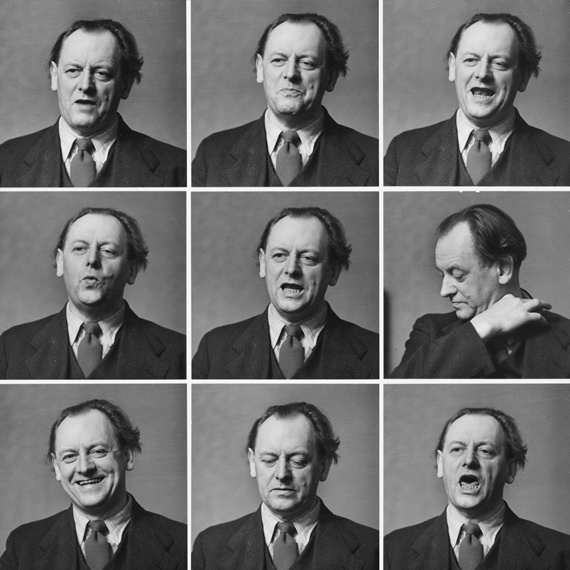 Painter, collagist, sound poet, performance artist, typographer and sculptor, Schwitters was a man of many parts. While shocking is perhaps too strong a word, his early work in Germany before World War II was certainly non–conformist and extremely radical. He was a proponent of avant-garde experimentation in sound poetry and proto–Dadaist events. The foil-covered walls and “happenings” in Warhol’s Factory in the 1960s and 70s owe a great deal to the Merzbau, Schwitters’ strange and fantastical transformation of his Hanover home into a surrealist, three-dimensional, Alice in Wonderland–type environment, tragically destroyed by bombing in 1943. This bizarre, amusing and Dadaist construction, re-recreated in part many years later in Norway and again later on in Cumbria, was the apotheosis of his theory of Merz. This “meaningless” word is coined from the word Commerz, and derived itself from “essentially the combination of all conceivable materials for artistic purposes” in his words of 1919. Using everyday materials for assemblage and construction was not new of course. In the Cubist experiment Picasso, Gris and Braque among many others had already explored these techniques several years before and certainly Tristan Tzara had already made an art form of absurdist poetry in the heyday of Dada. So Schwitters’s installation work and sound poetry was not entirely without precedent, but his creation of the Merzbau was a conceptual art work writ very large and was shocking in its scale and moment. Would Rachel Whiteread have made her House without the Merzbau? Would Joseph Beuys have made 7000 Oaks? The second element – artistic volatility – is very evident in Schwitter’s work. He is mainly known and represented in international museums as a superb collagiste in the tradition of the Bauhaus of Albers and Klee. Tightly constructed, restrained and beautifully balanced collages, made of the discarded detritus, the rubbish and ephemera of urban life and consumer culture (bus tickets, labels, envelopes) are the works that are mainly associated with his oeuvre. These works were to be seminal for the British Pop movement in its appropriation of everyday, found, ready-made consumer culture, seen later in the work of Richard Hamilton and Eduardo Paolozzi. Works such as doremifasolatido of 1930, made 10 years after his emergence into the Hanover art world is echoed 18 years later in the collage for Herbert Read of 1947. 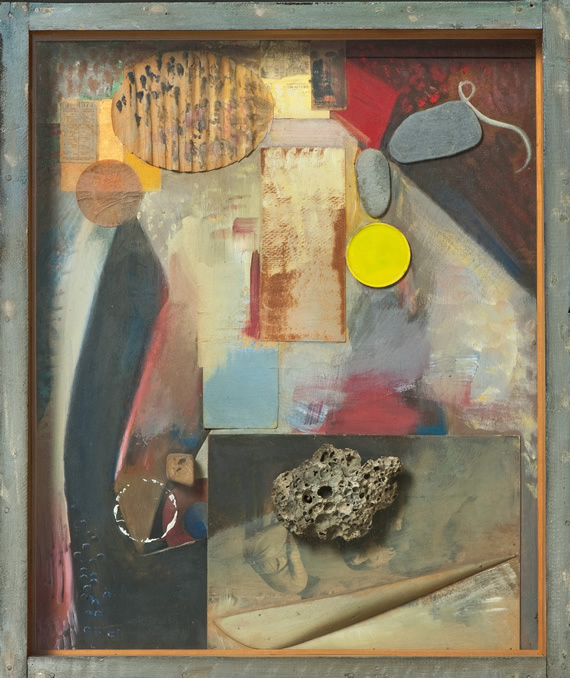 This is the Schwitters that we thought we knew. But here at Tate we see a room of small sculptures that are totemistic, organic and far from contained. A surprise indeed. This startling exhibition also includes and privileges observational works of portraiture and landscape that show us that he was an artist with very few affectations and scant regard for consistency. He confounds his public with his protean, omnivorous interests. He is interested in everything. He moves from one form to another with ease and grace, and this makes for a refreshingly varied experience. 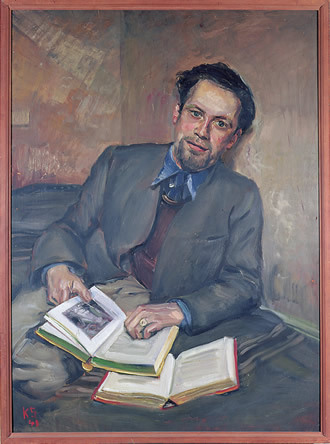 His portrait of his friend Fred Uhlman, 1940, painted during the strangely happy and prolific year he spent as an enemy alien in Hutchinson camp on the Isle of Man is as profound a portrait of a cherished relationship and fellow intellectual as Manet’s consummate portrait of his great friend Emile Zola, presently starring at the Royal Academy. There are landscapes here that one could be forgiven for thinking were by a Fauve; portraits that evoke Augustus John and even Sickert; sculptures that might be maquettes by Brancusi. It seems for Schwitters there are no hierarchies. He can make a completely observational and figurative painting of Isbreen under Snow Oslofjord in 1937 and in that same year Mz. Oslofjord, a hymn to abstraction. Knowledge of the circumstances of Schwitters’ life explain the element of commerce . Active in Germany until the rise of the Nazis, who declared his work “degenerate”, he was forced to flee to Norway in 1937 where he lived for three years until his flight to Britain in 1940, the country which would intern him but be his home until his death and grant him citizenship the day after his death. The thesis of this show is that it is in Britain that he does his best work, and this seems very plausible, and there is a poignancy in the elements he uses in his work. It doesn’t seem far-fetched to see the destroyed, and re-created Merzbaus as shelters from the storm; hard shells for the vulnerable snail; a Borges museum of the mind for the stateless man. 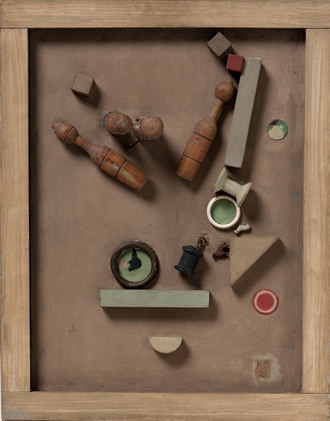 And yet, for all his experimentation, at the end of his life Schwitters is a practical man. Very short of money, and in the honourable tradition of the journeyman artist he paints realist commissioned portraits of people in his community in Ambleside. Shock horror. Commerce. Once a pillar of the high international avant garde, and without any discernible embarrassment or snobbery but with an eye to the bank balance and local friendship, he joins the Lake Artists’s Society and paints local landscapes for tourists. He works to make a living. His mind is replenished by landscape. The exhibition makes it clear that there is no abstraction without its shadow – figuration. The realist Landscape , Smithy Brow , Ambleside of 1946 is the other profile of 15 pine trees C 26 of 1946, splendid in its jagged, pristine, elegant abstraction.